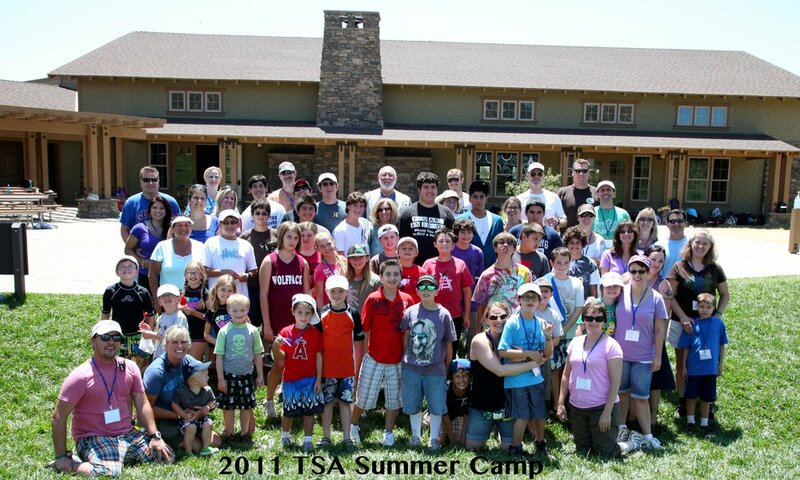 TSA Southern California had its second annual family sleep away summer camp in August 2011. Take a look at the photo gallery below to see some of the highlights of this wonderful experience. Kids and parents got to have an oasis from their daily routines and take part in some fabulous activities including swimming and water sliding, archery, bb guns, movie night under the stars, nite hikes, astronomy, geo mining, zip lining, arts and crafts, and “camp” traditions such as s’mores and songs around the campfire.